People don’t know what they don’t know. It’s a seemingly confusing statement, but in fact, it captures something quite simple: there are things happening in the world beyond my knowledge that I can’t even consider. Which is why you and I are naturally curious and tend to seek out news. Encountering an acquaintance on the street, after an exchange of pleasant surprise, the conversation usually begins with, “So, what’s new?” My clients in manufacturing habitually stand on the receiving end of this question. They are organizational introverts. They wait to be asked what’s new, rather than asserting themselves from the get-go. And that means engaging in public relations (PR). The mere mention of PR among manufacturing-based clients initially provokes hesitation and a query on the unfamiliar: “How does PR work and what will it do for my company?” PR is multifaceted and ranges from pitching stories to media (media relations), to crisis communications, to organizing news conferences to even building relationships with bloggers. There are numerous formal definitions of what PR is that can be captured in relation to news releases, trade publications, news coverage, social media engagement and more. As such, PR resists any easy oversimplification. Yet the uninitiated, at the end of the day, must be initiated. 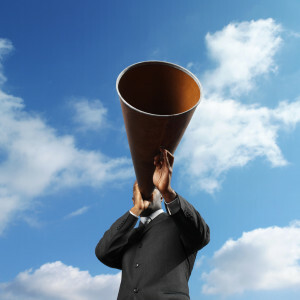 So I explain PR to manufacturers by tracing it back to the role of the town crier. Amidst the hustle and bustle of crowds traversing the square, the town crier, ringing a bell in hand, called out the day’s official announcements (the news) to an audience (the public). The public intuitively listened because people don’t know what they don’t know. Manufacturers need to be their own town criers. They need not shout from the rooftops, but only relay “what’s new”—what’s worth telling—to the public traversing the same streetscapes that they do. Good PR works when the public is genuinely informed; when they look up and pay attention, pausing to hear and take notice that you’ve really got something to say. Are manufacturers doing enough PR to share their news? Share your thoughts and leave a comment below.